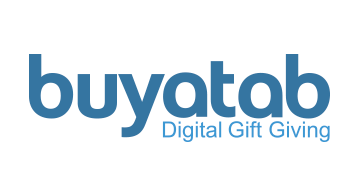 Buyatab is a leading supplier of advanced eGift Card online infrastructure and marketing services for medium- and large-sized businesses. With clients in the United States, Canada and Asia, Buyatab provides eGift Card services to merchants in a wide variety of sectors, including retail, hospitality, restaurant, shopping, hotels and others. Buyatab is recognized for its solution and design flexibility, focus on merchant brand standards, high quality customer support and fraud protection guarantee. As a result, merchant clients are able to grow their gift card business, enhance their brand, gain a competitive edge, and leverage the rapid growth in mobile device usage and social media.